Not all wellness programs (or coaches) are created equal. At One Whole Health, we’ll create a holistic health plan that meets your individual needs. All programs are designed to boost your energy, mood, balance and sleep while improving your ability to manage your stress and weight. Better yet-we’ll help you figure out how to do so on your busy schedule. Best yet-we’ll show you how to let go of relying on will power. We’ll help you correct brain chemical and hormone imbalances that prevent you from doing the things you want to do-until now. To assist you in making the best choice for your lifestyle, I’ve listed the most common questions we are asked. If you have additional questions, please contact me at leah@onewholehealth.com or schedule a FREE “Feel Good On Purpose” Strategy Session. What do you mean by One Whole Health? You don’t need to be fixed. You are born with your whole health. When given a chance, your body will heal itself by itself. We will help you regain every element of your well-being and you will find yourself feeling good on purpose. Just as there is collective consciousness, there is collective health. The health of the person next to you affects your own health & well being-and vice versa. Your business, team, family and community will be influenced as you begin to thrive in your whole health. Health coaching is a method of guiding you to make behavior changes that benefit your health and happiness. Together, we create a partnership with the intention of improving your health and happiness. A Nutritionist might give you a standard list of foods to eat and not to eat. A Health Coach will ask you what you eat and why. We know no one diet works for everyone. We’ll discuss how your food choices make you feel. We’ll help you discover how the other elements of your life affect and are affected by the food you eat. We’ll create an eating plan that is suited specifically to your biochemistry. A Therapist might ask you a lot of questions and guide you to identify your feelings. A Health Coach will support you in transforming your thoughts and feelings into action, sustainable habits and results. We’ll give you tools to get yourself to do the things you know you want to do. A Dr. will diagnose and treat your symptoms. A Health Coach will help you find the root cause that may be causing an array of seemingly unrelated symptoms. We will ask you, “What does your body need to heal?” The answer may surprise you. We form a partnership on your behalf to help you: integrate healthy choices in your life, get yourself back on track, get yourself to do the things you know you should do and hold YOURSELF accountable. In a CNN interview, Dr. Mehmet Oz reported that Health Coaches should be a part of every public clinic, medical office, hospital and wellness center. Hear Dr. Oz on Larry King Live! How is One Whole Health different from other coaching programs? We understand good health starts in your head. Specializing in Neuro Nutrient Therapy, we have a proven system for helping you repair chemical and hormone imbalances that unknowingly sabotage your efforts. Read more about Neuro Nutrient Therapy. With balanced brain chemistry, you will be able to identify real thoughts and moods rather than react based on false thoughts and moods. You will use an on line journal with exercises especially designed for you to help you see the thoughts that influence your behavior and experience every day. You will discover limiting belief’s that have kept you stuck and learn to create new thoughts and outcomes. Through journaling, you will begin to make your thoughts work FOR you instead of AGAINST you. Journaling will help you accelerate your results and achieve your goal be it-losing weight, feeling better, boosting your energy, creating more balance, improving your relationships or attracting abundance. Why should business owners, executives and coaches enroll in a private coaching program with Leah Lund? Before creating One Whole Health, Leah Lund held executive level leadership roles with key American retail organizations and launched her own executive search firm, Retail Resource. 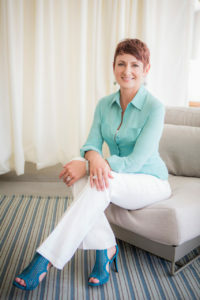 An expert in performance management and talent acquisition, Leah has worked with retail giants including Bath & Body Works, BCBG Max Azria, The Wet Seal, The Cracker Barrel Old Country Stores and Francesca’s Collections-consulting and coaching individuals and teams to change behavior and achieve results. Leah sees good health as a strategic advantage for all business leaders and executives. She will help you manage your energy instead of your time because your energy level is a barometer of your health in general. Best yet-Leah fully understands the pace and schedule of executives, business owners and coaches. With Leah, you can let your guard down, explore how you feel and create a wellness plan that will have you feeling and performing better than ever while finding a balance between all areas of your life. How does this work and how will it fit into my busy schedule?? One Whole Health programs are mobile-we go where you go. In a 12 week private coaching program, you will have a weekly phone call or Skype session with Leah Lund where you will create and implement an action plan for influencing the change you want to see in your life. Between calls, you will journal privately with Leah and begin to understand the foods, lifestyle, thoughts and moods that have been holding back your potential. Every private coaching program includes a brain chemistry assessment and personalized nutritional repair plan, a supplement review with elimination of unnecessary supplements and customized tools and resources for implementing your action plan within the challenges of your busy schedule. If appropriate, you will assess thyroid, adrenal and hormone function and be advised on creating a strategy to correct imbalances. If recommended, you may engage in a Gluten, Dairy, Soy or Sugar Challenge to determine intolerance/sensitivity to these foods. If we find that you have neurotransmitter deficiency, you can expect a nutritional repair regimen that requires specific nutrients up to 4 times a day. Leah will help you understand and integrate the information and recommendations you’ve received from other health care professionals. You will leave the program with a clear direction for your future and the ability to hold yourself accountable. Do I really need a health coach? I can usually handle things on my own. How can I get to know more about One Whole Health? We invite you to become a One Whole Health on Line Community Member. As a member, you will enjoy a FREE self-guided journal course called “Thriving in the New World.” This course is designed to help you harness your thoughts and energy for ultimate performance-however you define it. You will also have access to a library of articles, videos, meditations and resources to empower you in your wellness journey. You will be automatically subscribed to One Whole Health…FOR YOU, a bi-monthly E-letter full of tips for boosting your energy, mood and health. Most of all, you will surround yourself with kindred spirits committed to nurturing their health while performing at their peak. Join Now (http://journal.onewholehealth.com/login.aspx?s=111) and receive a copy of Recipes from The Clear Path Retreat.